What do I do now? And how much does it cost to publish a book?? There are very real costs involved in finishing and self-publishing your book and it’s a good idea to know what these are and work out how you are going to fund them. The sooner you can do this, the better prepared you'll be and the faster the whole process will move. Writing a book starts out as a creative pursuit. A passion. A desire to write, to communicate. It’s about the writing. At some point, though, it becomes a business venture. And, like a lot of things we do in business, our investment is a question of time or money – or both. Even as you're writing, that’s time that you could be spending on your business: with clients, creating training or marketing material. Or it's time you could spend at work, in your day job. Or, if you've chosen to write in the evenings or early mornings, then that's time you could be spending with family and friends, or on your own fitness or self-care. Hold on to the thought that writing a book is an investment in your future. It’s also something that is fulfilling (at least if you do it the right way, don't let it become a frustration!) So many people want to write a book, and so few do -- you are now one of the few. The process of writing, of putting your content out there, will help you grow in confidence, it will deepen your understanding of your content, and it will drive your business forward. In order to make a decision, you’ll need to do the sums and find the money to self-publish, or to get your book ready for an agent or publisher if you choose to go that way. If you have a ballpark idea of the costs then you can start to plan for them, and you can research creative ways to cover them. And some of those creative ideas you come up with might help you create a better book in the process. There’s a lot you can do yourself at zero, or close to zero, cost, with just a little investment of time and perhaps some learning. There are just one or two places I strongly recommend you invest in professional support, places where I believe you'll get the biggest return on your investment, and where you end up with a highly polished and professional outcome, rather than risk looking like a rank amateur. The bottom line (ha, pun intended ;)) is that you should plan and cost for supporting the writing and publishing process, just like you'd plan any other project in your business. And know exactly how you're going to find the funds to pay for it before you dive in and create. Let's assume you have a 40,000-50,000 word business or how-to book. What sort of costs might you want to budget for? You can always pay more for a premium service, of course. I know cover designers, for example, who will charge you $10,000 rather than the $500 upper limit I've quoted below. But do you need to pay that much? Well it's up to you, your tastes, your budget, and your business acumen, It's a judgement you can make for each book you write, but in this guide I've tried to balance what I think is reasonable to pay to get a good quality service. Writing equates to time, and your time is valuable because of what else you could be doing (and therefore earning), while you're writing. Even if you think the writing is 'free', there's an investment of time and skill. I see many authors spending months longer than they need to, and the book they end up with often doesn't serve their ideas or their business as well as it could. Getting help with the writing is a bit like hiring an architect when you want to build a house. You're bringing someone onto your team who has the experience and the vision to help you achieve what you can see in your mind's eye -- and who can help you avoid the pitfalls of trying to do everything yourself. Planning, in particular, is worth spending time on. Write the right book, and you could raise your visibility (and income) considerably. 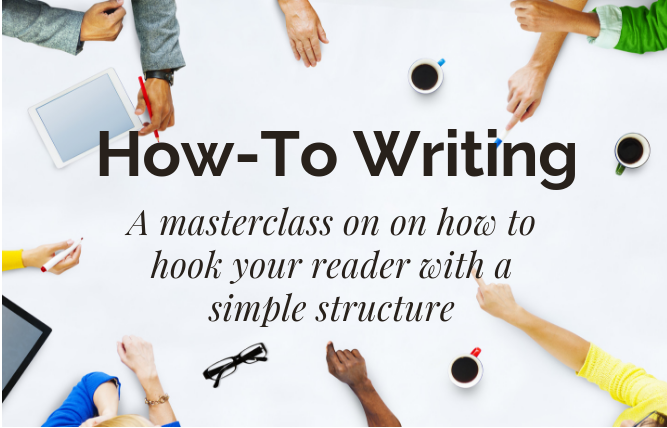 Planning the structure and creating a strong outline makes the writing much, much easier. Writing is a skill you'll need to develop if you want to write a good book. The faster you improve your skills, the better the book you will write, the more easily you will slip into the flow, and the more enjoyable the process will be for you. Then there is editing. A structural, or developmental, editor will give you feedback about the overall flow of your book, while a copy-editor or proofreader will go through your work line-by-line and word-by-word for grammatical sense and spelling errors. As we write we lose sight of the quality of our work and having a second pair of eyes and a professional opinion is invaluable. If you've worked with a writing coach it's unlikely you need developmental editing, but you should always, and I mean always, hire a proofreader or copy-editor. It’s a rare person who sees his or her own errors! A book is judged by its cover so please, please, please invest in strong cover design. It doesn't have to be expensive and you can find decent designers who don't charge a fortune. If you don’t know any, or (like me! ), you're graphically challenged and can't even explain what you want to a designer, then start with sites like https://99designs.com. Formatting is important, and it's especially important that your book displays correctly in whichever publishing medium you choose. While a nicely designed interior is good for print, do remember that ebook readers prefer simplicity and readability over fancy design. The length of your book and the complexity of your interior layout, whether you have images or diagrams, etc, are factors that will make a difference to the cost, so be prepared to pay more, or take advice on what is going to work where from someone who has knowledge of the medium. Simple is best for digital publishing such as Kindle, and that also keeps costs down. Formatting for print is more expensive but you can be more creative with diagrams, images, graphics, and tables to get a better look and help your reader consume the material. I once worked with a client who had a number of complex tables in her book -- tables that looked great in the print book but just didn't work for kindle. We were able to change the way she displayed the information so that we created a better reader experience and a book that worked for each medium. Be prepared to adapt your work to the medium, rather than expecting every medium to respond in the same way. If you self-publish and upload your own files to platforms like Amazon, then the cost is practically zero; it's just down to your time, or the time of someone on your team. The important variable is knowing what to do and understanding the consequences of the choices you make. Which of those buttons should you press, or which boxes should you check? Is it better with DRM, or without? Digital publishing, especially on Amazon's kindle platform, has a very small learning curve and you will take home more of the royalty. For print copies, use Print-on-Demand (POD) services like CreateSpace, or Lightning Source. They print each book when someone buys it, so there is no need for you to have boxes of (unsold) books in your garage. There are set-up fees with these print-on-demand service, and the cost for printing each book is slightly higher than you'd pay if you were ordering thousands at one time, but the convenience of outsourcing all of the print and distribution, with little upfront cost, is a massive advantage for most authors. Alternatively, you can find companies who will take this off your hands and manage everything from editing your final manuscript to distributing your print copies. Often they're using the exact same services as you would be using if you did it yourself, but you don't have to learn anything or set up your own accounts -- they will handle it all for you. Some of these services come with a hefty price tag, or a requirement to buy a couple of thousand books from them (and all those books can be hard to sell). Your choice comes down to budget and your tolerance for learning something new. If you have a bit of a team, it really isn't complicated to manage the self-publishing process in-house, and there can be marketing advantages to doing it this way. Or maybe you have the resources to pay and you prefer to have it all managed by someone else? Most companies offer an excellent service, but just be aware that there is a small minority of these self-publishing services (sometimes called hybrid publishers) who charge a considerable fee and promise results above and beyond the publishing process; results that are not always backed up by hard evidence. Always take the time to understand what you are paying for and what results are typical. Print on Demand $100-$300. You have to buy an ISBN and some services charge a small setup fee. Ah, so you thought it all ended with publishing? Well, no. The launch is something you also want to plan and budget for. Any event-based marketing can lead to a real boost in sales and visibility, and a well-run launch is one of your best shots at making your book a bestseller. For single copies, the print-on-demand services are very affordable (and easy to use). As soon as the numbers go above a few dozen, and certainly when you start printing a few hundred or a few thousand copies, then it's likely to be better value for money to get them done by a local printer. It's easy enough to make your in-person launch cost neutral by looking for sponsorship, or asking a small entry fee. Do some hard negotiation with your venue -- maybe they’ll let you have a room for free on a quiet Tuesday evening? Or try a coffee shop that might otherwise be closed in the evenings. Then there is ongoing marketing. Your book may sell organically (congratulations! ), but most of us have to continue to work at it. If you’re savvy about book marketing, then online marketing is the way to go. It's effective and you can do a lot for little more than the cost of your time. How about a virtual launch party? Have some giveaways, special offers or bonuses to get people to turn up and to keep them engaged. The great thing about virtual events is that you don't just have to do them at launch. You can run a free or a low-cost promotion on your ebook anytime you want to give your book sales a boost. And these campaigns are very easy to organise. Email your list, run a Facebook event, or host a webinar to build some buzz. The more elaborate your marketing plans, and the more you work with professionals such as PR agencies or social media management services, the more you should budget. With creativity, imagination, and a little investment of time, however, you can do a lot at very little expense. There can be a bit of a reality check when you see that book budget for the first time. I hope, though, that you're pleasantly surprised by the range of your options, rather than scared off? You can spend, but you can choose where to spend. Whatever your comfort zone you should be able to find a way to publish your book for the investment that makes the most sense for you. If you’re starting out, then it’s perfectly possible to do this for just a few hundred dollars or pounds. If you're more established, you know that you will see a return on your book and you prefer to stay in your genius zone, it’s far better to outsource and work with professionals. If you have, or can generate, a few thousand dollars (or pounds) then hire a professional team and free up your time to lead the campaign and continue to earn money in your business. If you hadn’t realised – or hadn’t budgeted for – the costs involved, then let’s look at some creative ways to fund your book. Try to find ways to raise money in advance. At least to cover some of the expenses, if not the full cost of your time. If you have some resources secured, then you’ll be more relaxed about taking the time to write. Start to set aside a proportion of fees from your clients or a percentage of your income until you reach your target. Why not have a sale on one or all of your products or services? Or hold a special event where all profits you make will go into a 'book fund'. You can even advertise that you're doing this and start to build a community around the book in advance of writing it. Pre-fund your book. Offer advanced copies for sale before it’s written and encourage people to buy by offering additional bonuses (video training, live in-person or online workshops). This is a great way to test whether people are interested in buying the book, and it will create some virality if the offer is good enough. Get creative. There are so many extra products and services you could offer to complement the book -- give your readers a no-brainer offer and you'll make it more likely they'll say 'yes' to it. This is where you ask people to buy a stake in what you are selling before you create it. It’s different to pre-selling because you're doing it through a third party site -- a dedicated crowdfunding site or service like Kickstarter or Pubslush. Your ‘investor’ pledges money in exchange for the promise of a return or an advance copy of your product. The value you offer should go way beyond the cost of just pre-ordering your book. 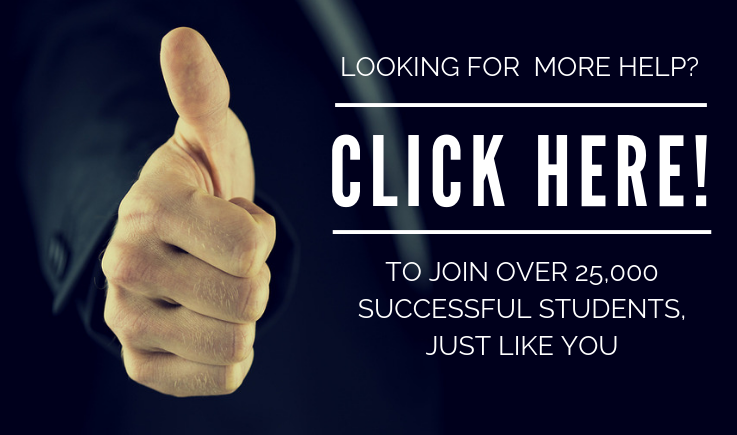 These sites usually allow different levels of rewards – so you can choose to offer 20 books for $100 up to a VIP package where you might fly out to deliver a training workshop, a speech, or a consultancy service for $20,000 or $50,000. Have some fun with crowdfunding – the more creative your campaign, the more likely people will be to regard it as something different and interesting, and the more likely they are to invest and then to share it with their friends. How about co-creating a book with someone who has different resources to you? I’ve done this with online training. I understand the technology and how to get the product to market and I can work with experts with related content to create a win-win for both of us. Share the work, share the cost, share the credit. Just be careful about agreeing to share royalties if you go this route – it can be very complex to administer and often better all round to keep it simple. What about asking for funding in return for publicity? If you have great content and a way to reach an audience that someone else has an interest in reaching, then this could be a great option for you. Go back to what else your reader is buying – not necessarily in your industry – think wide. And then think about reputable companies in that field, professional associations, or individual high-profile celebrities. Is there a match, or can you create a match? If there is, then define what you want to offer that person or organisation. Is it a logo on the cover, a credit, a whole chapter? Be specific and put boundaries around it. How long do you want the relationship to last? One print run? Forever? Up to a certain number of copies sold? Agree your exit arrangements before you start. Approach some of your ideal sponsors -- everyone is looking for more exposure and, if you have a cost-effective way of providing it, there is always a chance that someone will say yes! Can I Ask for Money Before I Write? This is a common question and, so long as you have checked all the regulatory considerations, and have the right terms in place for refunds if (for some unexpected reason) the project does not go ahead, and are acting in alignment with your own values, then why not? It's perfectly reasonable to be paid in advance and it's exactly what would happen if you got an advance from a publisher. Beyond just the money, involving other people -- your potential customers or promoters -- at an early stage is a great way to confirm that people want to read what you want to write. It’s easy enough, in the isolation of your computer, to think that you know what people want. But you really don’t until someone hands over his or her hard-earned cash. Plus there is no better motivation to finish quickly than having paying customers waiting for your book to be ready! Be innovative; use one of my suggestions or think of your own. Your book is an investment in your future visibility, in your future success, and it's a joyful and fulfilling project in its own right. Don't let a small thing like not knowing how much it costs stop you. The more you know, the better equipped you are to handle it. It's what is unknown that is intimidating. Arm yourself with knowledge, be prepared to seek advice, and then it becomes much easier to find the solution for you.